Two games expected to be PS4 launch titles in Europe have been slightly delayed according to Sony. Free-to-play Blacklight: Retribution and cross-buy title flOw will now be released after the European launch. “It’s delayed ever so slightly. We hope to have it with you next week – I’ll confirm as soon as possible,” explained Sony’s Fred Dutton. flOw will be available on the PlayStation Store in coming weeks, while there is no release window for Blacklight: Retribution yet. 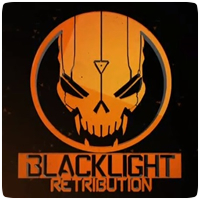 “Blacklight Retribution won’t hit launch for this part of the world but it will shortly after,” said Jawad Ashraf from the PS Store Team.